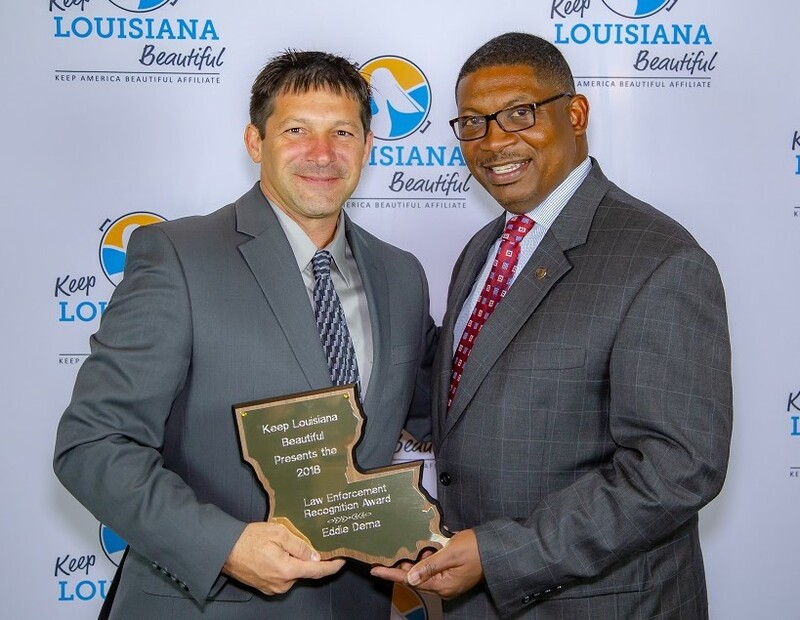 Each year, Keep Louisiana Beautiful recognizes those ithat go the extra mile to keep our communities clean, beautiful, and litter-free. 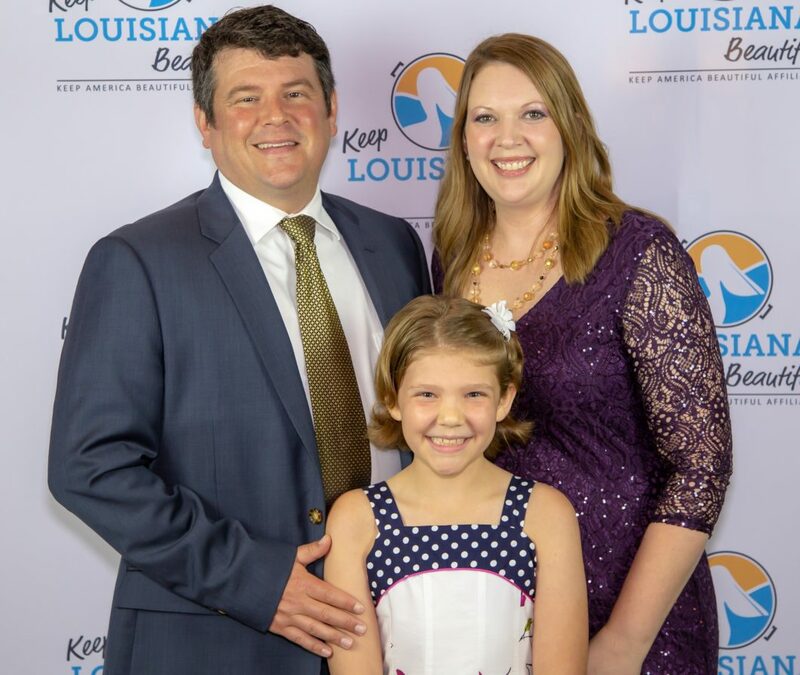 These are the men, women, children, businesses and organizations that are moving Louisiana towards a more sustainable future through innovative programming, hard work, and dedication to greener, cleaner communities. Nominations for these awards open in late spring each year, and awardees are announced and honored at our annual Everyday Hero Awards Banquet, on the first night of the annual state conference. See the photos from this year’s Everyday Hero Awards Banquet here. Louisiana’s former First Lady, Alice Foster, played a crucial role in beautification and preservation efforts across the state, which helped to launch Keep Louisiana Beautiful. The Alice Foster Award recognizes an individual volunteer for their exceptional leadership in litter prevention, waste reduction, recycling and beautification. Coleen Perilloux Landry, who has worked tirelessly over the past seven decades to preserve her community’s natural beauty, protect wildlife habitats, and increase public recycling, is the recipient of the 2018 Alice Foster Award. Ms. Perilloux Landry has registered 5,000 Live Oak trees in fourteen states, brought full-time recycling to Lafreniere Park in Metairie, helped restore and beautify the historic Ursuline Convent in New Orleans, and protect historic live oak trees slated for removal. Ms. Perilloux Landry is a retired colonel in law enforcement, having served twenty-seven years with the Jefferson Parish Sheriff’s Office. Ms. Perilloux Landry was presented with the award by Mr. Troy West, son of former First Lady Alice Foster. This award recognizes a public servant who displays a deep commitment to KLB’s mission in their daily work by going above and beyond the call of duty. Cynthia Sylvain Lear, Director of Sanitation for the City of New Orleans, who has worked diligently to stretch city resources to increase recycling, reduce city tipping fees, and manage household hazardous waste, was this year’s recipient. She has also improved recycling rates and decreased littering at special events in the city and has forged relationships between the city and composting networks. 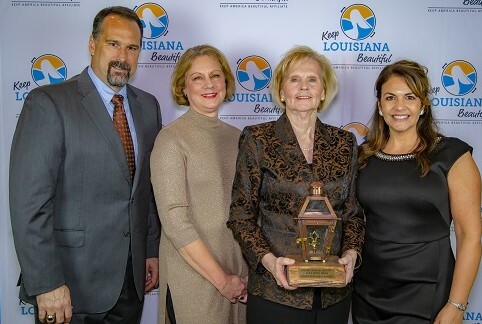 Ms. Sylvain Lear was presented the award by Dr. Susan Strain, Keep Louisiana Beautiful board chair and sponsor of the Golden Can Award and her husband, Commissioner of Agriculture and Forestry, Mike Strain. This award recognizes a successful beautification, litter prevention, recycling, or waste reduction program led by a school, civic group, non-profit or KAB affiliate. Shreveport Green has developed a Household Hazardous Waste program that is so efficient and streamlined, they are able to offer it to their community six times per year, providing service to over 1,100 homes. This program has become the gold standard for Household Hazardous Waste collection in the state, and is a model for other communities to replicate. 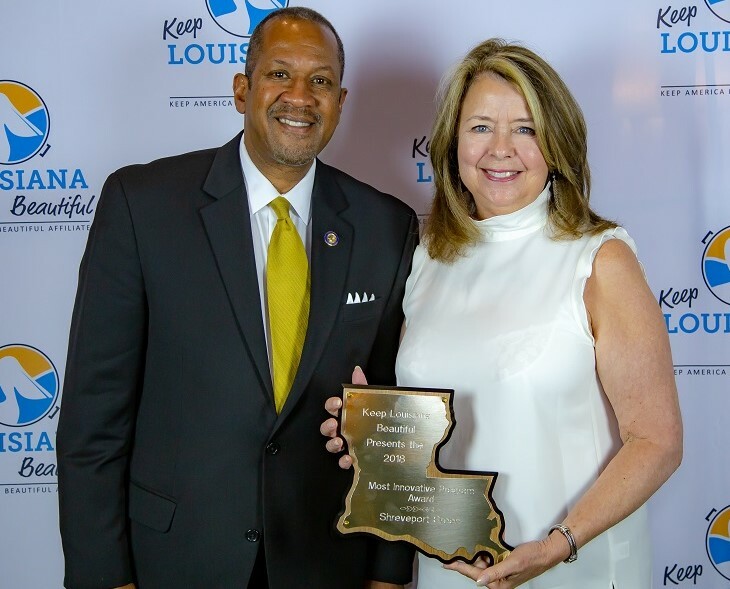 Donna Curtis, executive director of Shreveport Green, was presented with the Most Innovative Program Award by Dr. Chuck Carr Brown, Secretary of the Louisiana Department of Environmental Quality. This award recognizes a student or youth-led group that displays creative thinking, demonstrates effective leadership, and engages their peers to make a significant impact on their community. This year’s Youth Leadership Award was presented to 5th grade student, Charlotte Henagen. Charlotte, a young environmentalist with a passion for recycling, wanted to expand her recycling efforts beyond her household efforts to her school. She raised funds and, with the help of one of her Christmas wishes, was able to purchase paper recycling bins for each of her school’s classrooms, plus a large bin for collections. She hopes to expand her recycling efforts beyond paper at her school, and challenges other schools around Louisiana to do the same. Charlotte was presented the Youth Leadership Award by Louisiana House of Representative Senior Attorney, Tyler McCloud. 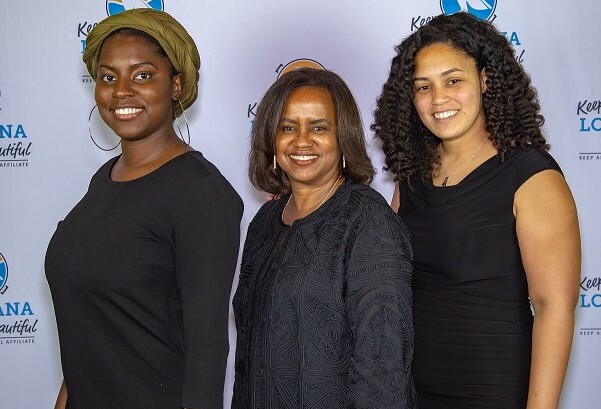 This award recognizes a Keep America Beautiful affiliate that shows fortitude, leadership, creative and diverse programming, and community engagement. This year’s Outstanding Affiliate Award was presented to Keep Covington Beautiful. Whether planting flowers in downtown container gardens, organizing neighborhood clean-ups, or hosting a paper recycling day, for more than a decade Keep Covington Beautiful has worked to affect positive change in the City of Covington. Since 2007, Keep Covington Beautiful has united its community by collaborating with more than two dozen partnerships to fulfill their mission and has received more than $128,000 in grant funds to launch new programs and sustain existing ones.This award was presented to Keep Covington Beautiful director Priscilla Floca by Grace Keegan, Central Region Director at Keep America Beautiful. 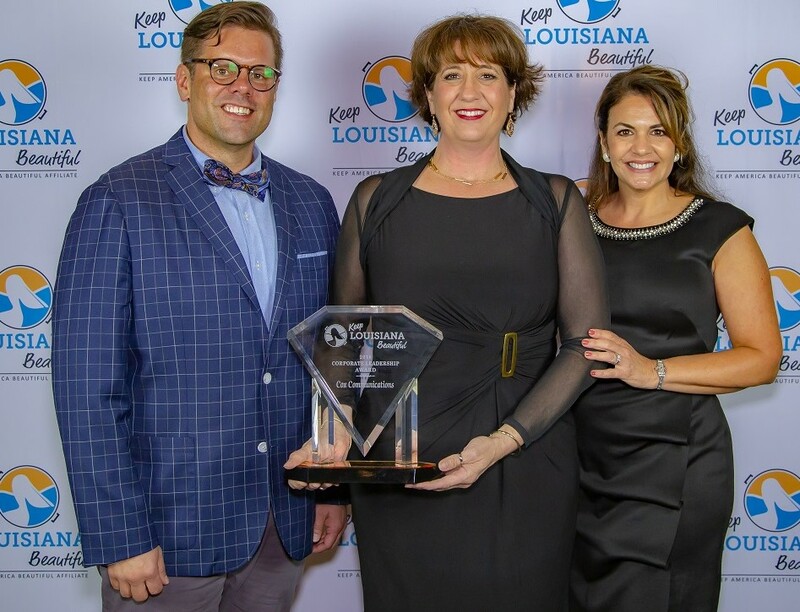 This award recognizes a Keep America Beautiful affiliate director who demonstrates exceptional dedication to KLB’s mission and leadership in building a strong and sustainable organization. This year’s Outstanding Affiliate Director Award was presented to Holli Guillbeau of Keep St. Martin Beautiful. Holli, who coordinates all functions of solid waste collection and recycling for St. Martin Parish, has taken it upon herself to vastly expand the parish’s voluntary recycling program through public awareness and targeted messaging, environmental education for students and civic groups, and by offering public recycling at local parks. Holli has also helped to implement a special collection day for unused medication, old electronics, and paper shredding. 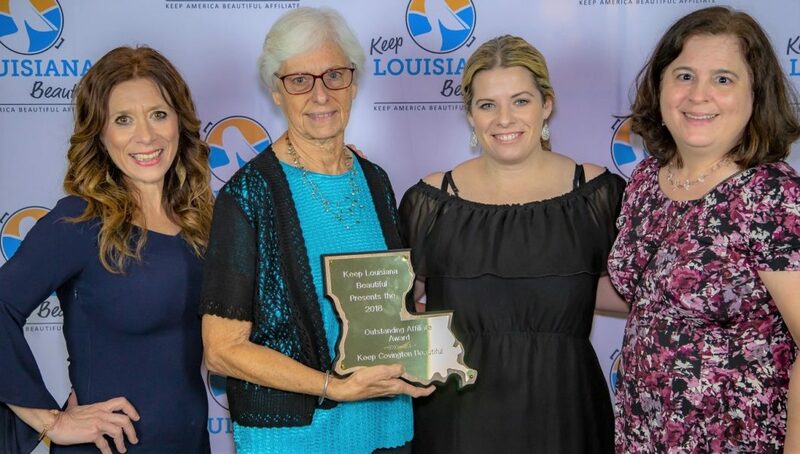 Holli was presented the award by Susan Russell, executive director of Keep Louisiana Beautiful. This award recognizes a business that demonstrates a consistent dedication to KLB’s mission, environmental stewardship and community enrichment. This year’s Corporate Leadership Award was presented to Cox Communications for its dedication to the environment through Cox Conserves, which aims to drive positive environmental change inside the company and within the communities they serve. The company has set an impressive goal of sending zero waste to the landfill by 2024, and to be carbon and water neutral by 2044. Since starting the program in 2017 in Louisiana, they have offset 16,100 lbs. of CO2, saved 3,932 gallons of water, diverted between 75% -84% of their waste, and saved 6499 KwH of electricity. 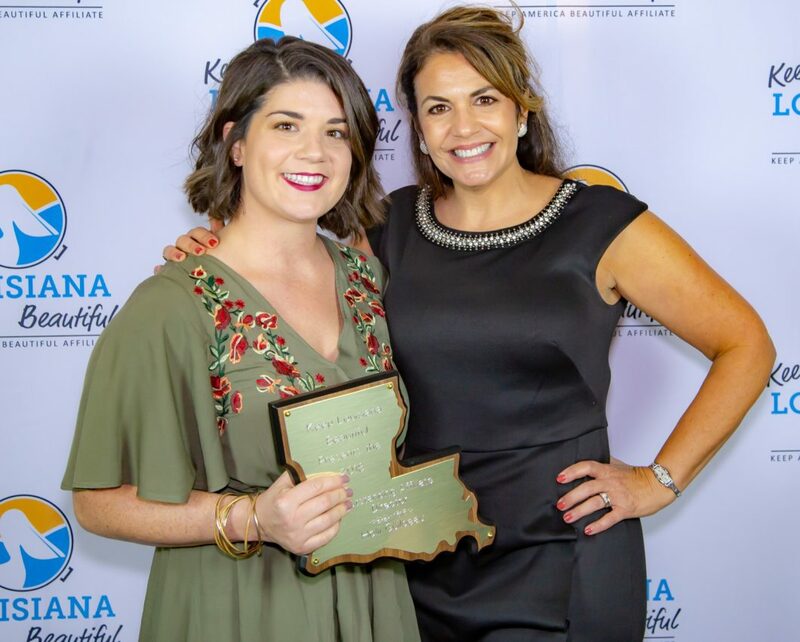 The award was accepted by Karmen Hartfield-Blanco, Government Affairs Manager at Cox Communications, and was presented by Tim McIlveene, Manager of Economic Development at CenturyLink, and a member of the Keep Louisiana Beautiful board of directors. This award recognizes law enforcement personnel including Justices of the Peace, Constables, judges, and code enforcement officers who are successful at enforcing state, parish, or city litter and illegal dumping laws. This year’s Law Enforcement Recognition Award was presented to Officer Eddie Dema of the New Orleans Police Department. Officer Dema, a Quality of Life/Community Liason Officer for New Orleans East, has worked diligently to address environmental concerns for residents and businesses including the removal of 72,000 waste tires. He is an active member of his community that offers assistance to those in need. Officer Dema was presented the award by Shawn Wilson, Secretary of the Louisiana Department of Transportation and Development.